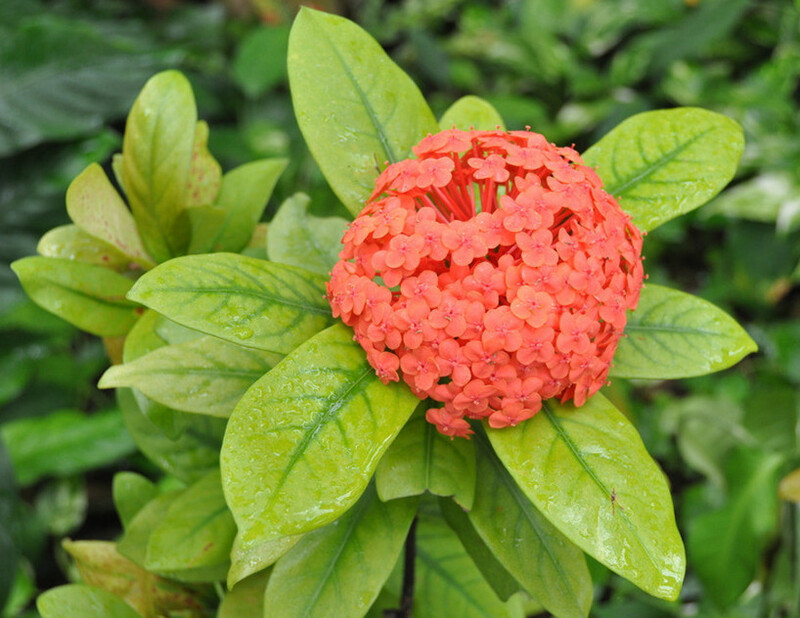 The drug is the dried flower of Ixora chinensis Lam. (family Ruhiaceae), growing in hilly forests, and distributed in Fujian, Taiwan, Guangdong, Guangxi of China. The root, stem and leaf of plant are also used as drug. The leaf contains phenols, amino acids, organic acids and sacharides. The flower is used to quench the fire of liver, activate blood circulation and relieve pain; for the treatment of hemoptysis, menstrual disturbance, fracture, sores. The root is used to relieve due to promoting the flow of qi, activate blood circulation and remove obstruction from collateral channels; for the treatment of hemoptysis, stomachache, sores, traumatic injuries, amenorrhea. The stem and leaf are to remove toxic heat, promote blood circulation and remove blood stasis; for the treatment of traumatic injuries, boils and sores.